BCLNA is a strong organization. With over 500 members, it represents the landscape trades, garden centres, wholesale and retail nurseries, suppliers, as well as educators, students and horticulture affiliates. As members, we hope you are taking advantage of all that BCLNA has to offer. The BC Landscape & Nursery Association is an industry organization serving BC’s nursery growers, landscape professionals, retail garden centres and the associated landscape horticulture trade. The BCLNA consists of more than 500 member companies, representing nursery, landscape, retail, education, supply, service, and government organizations working in the landscape horticultural industry. The Association was formed in 1953 and today is a vibrant association, with chapters in the Lower Mainland, the Interior, and on the Island, The BCLNA offers member companies leadership, information and services toward the development of more knowledgeable and responsible horticulture practices. Included in its mandate is also business development and issues management for BC’s green industry. 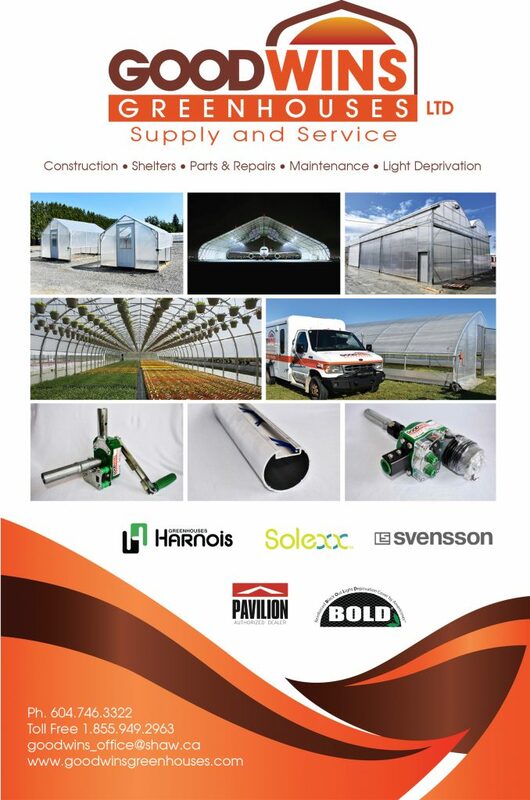 The promotion of high standards of horticulture practices within the Province of British Columbia. The provision of skilled services to the public by members of the Association. The promotion of the relevance of horticulture in fostering the healthy stewardship and beautification of urban and rural environments. To do all such things as are incidental or conducive to the attainment of the above principles. Goodwin’s Greenhouse Supply & Service Ltd.